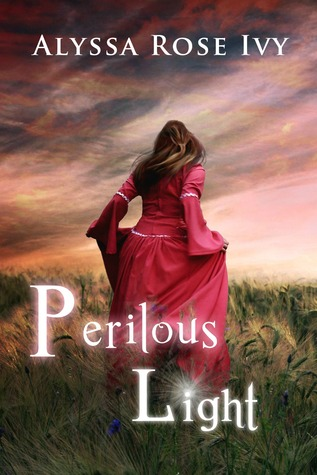 "Would you sacrifice everything for a world you barely knew? It has been over a year since Charlotte and Kevin first stepped through the gate into Energo, and neither has been able to settle back into a normal life. Even though she tries to deny it, Charlotte is in love with Calvin and can’t push him from her mind. She distracts herself with the antics of James and her growing friendship with Liam—the one person who seems to understand her. Kevin is starting to adjust to his new identity as a college student and basketball player, but he can’t seem to shake his feelings for Samantha, his fear for Charlotte’s safety or the sensation that basketball is no longer enough. When they unexpectedly return to Energo, both Charlotte and Kevin must face their fears and step up to become the leaders they were always meant to be." 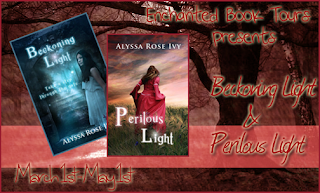 Thanks so much for being part of the Perilous Light release day Holly! After posting about this book, I've decided I should probably pick it up and read it... Hence I'll enter the giveaway.